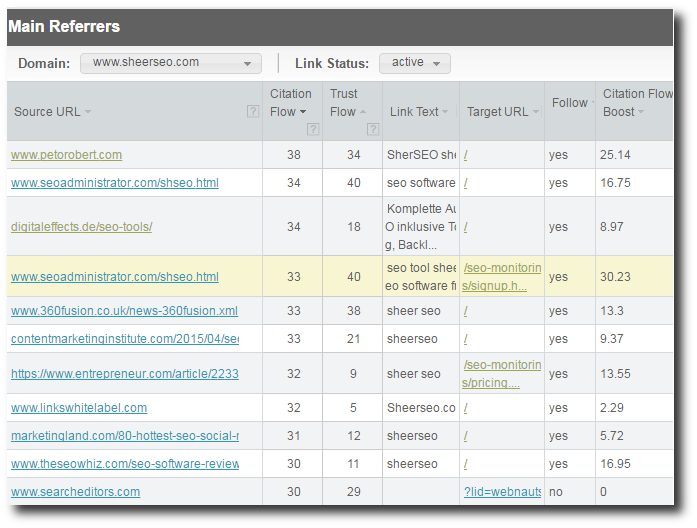 SheerSEO collects data regarding all your inbound links and keeps refreshing this data weekly. The value of the referring page. Is the link do follow. Using this data you can figure out which are your most valuable links, and you could find many backlinks you might have and never knew about. You can also see which links got dropped. A great opportunity in creating new backlinks is viewing your competitors' backlinks. Your backlinks are your asset, and you better keep an eye on the most valuable ones. We have a tool for checking up on your most precious backlinks daily. 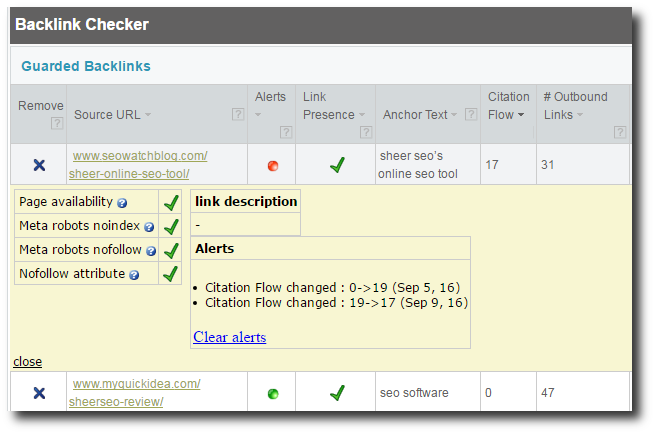 With this tool, you can view the status of your precious backlinks and get an alert once any of them drops/changes. Any change, like the value of a backlink or if it becomes nofollow creates an alert. There is no better link than a link from a blogger in your niche. It is as natural as it gets and Google loves it. We can help you find relevant bloggers and connect you to them with a few clicks. This semi automated process makes it both easy and fully controlled by you, so you can both save time and decide which blogs to connect to. Directory submissions are one of the easiest ways to get backlinks. Our software finds free web directories and helps you reqeust an inclusion with a matter of a few clicks. 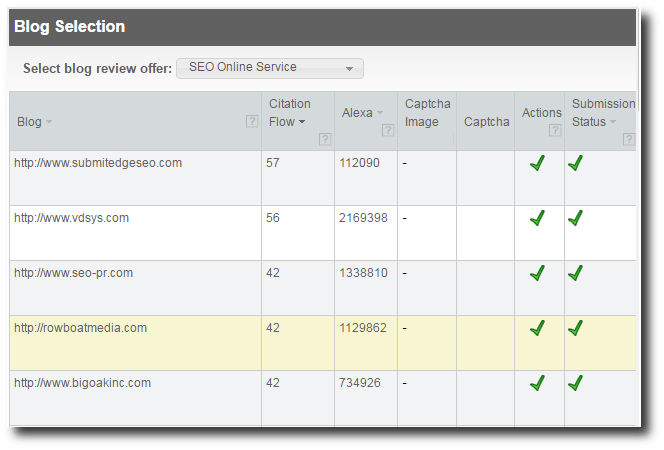 We allow you to select which directories to submit to, based on their parameters, like Alexa rank and citation flow. This semi automated process saves you precious time in finding directories and filling out their forms.